Synopsis: A collection of stories about love from the New York Times bestselling author of Every Day.They met on a plane / at Starbucks / in class. It was a set-up / it was completely random / they were dancing. It was love at first sight / it took time / it was a disaster!Love is a complicated, addictive, volatile, scary, wonderful thing. Many of the stories in this collection started out as gifts for the author's friends. From the happy-ever-after to the unrequited, they explore the many aspects of the emotion that has at some time turned us all inside out and upside down. As Levithan points out in his foreword, anthologies or short story collections are rarely treated with as much regard as full length novels: as if writing them is somehow less imaginative, less creative, less time-consuming. And certainly, I’m speaking for myself here – I’ve never made the time for short stories. 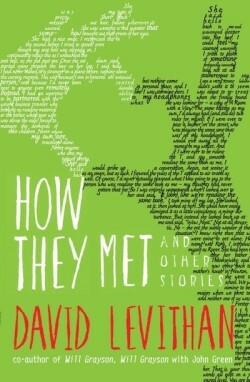 But I made an exception for Levithan’s How They Met, and I’m glad I did. The stories – there’s maybe fifteen or so of them – vary in length. Some are thirty, forty pages long; others are just across two or three. Some were written years ago; others, perhaps, more recently. The connection? They’re all stories about love; love lost or love found, love long or love short. Sometimes not even about love but about unrequited love; is that still love? In any case, stories like this are what Levithan is known for. 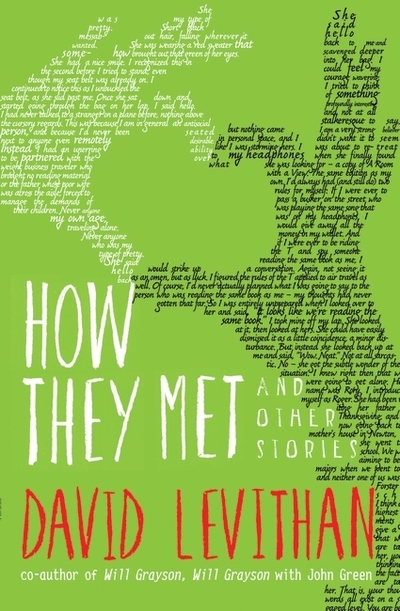 What really convinced me to read How They Met, though, is that I knew Levithan was going to write the love stories about people of different romantic persuasions. Particularly gay couples, which I guess is what he relates to. But it’s also what I relate to, and it’s nice to read those every once in a while. There’s the story of Jon and Graham, which is really the story of Jon and Miles. There’s the one about flirting with waiters – and adoration and adulation. The airplane-matchmaking story. The story in which one boy realises he is in love with another but knows he can never share music with him, and feels wobbly for a moment before feeling loved again. There’s long poems, short poems, first-person stories, second person stories, third person stories. Stories about love for everyone, of any persuasion. So give it a go. And enjoy the ride. What did you think about How They Met?